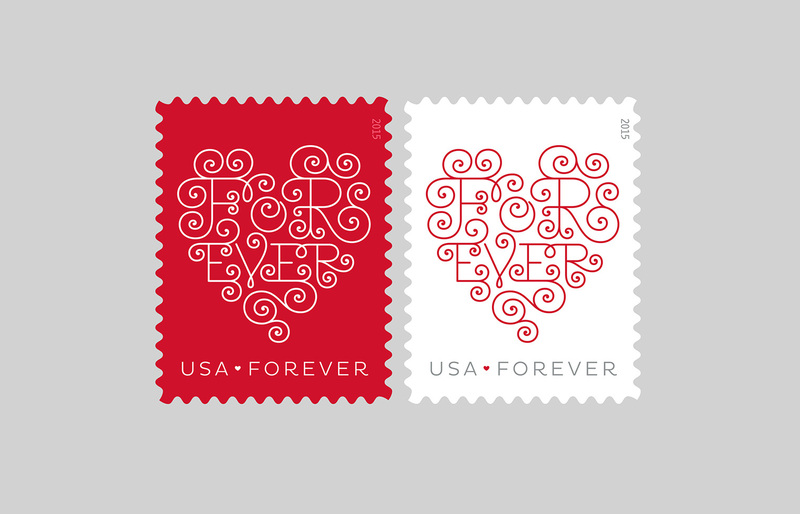 Part of the “Love” stamp series, this design plays on the meaning of “Forever” both as a signifier of long-lasting love but also as a representative of the denomination. Art direction and design: Antonio Alcalá, Design and lettering: Jessica Hische. 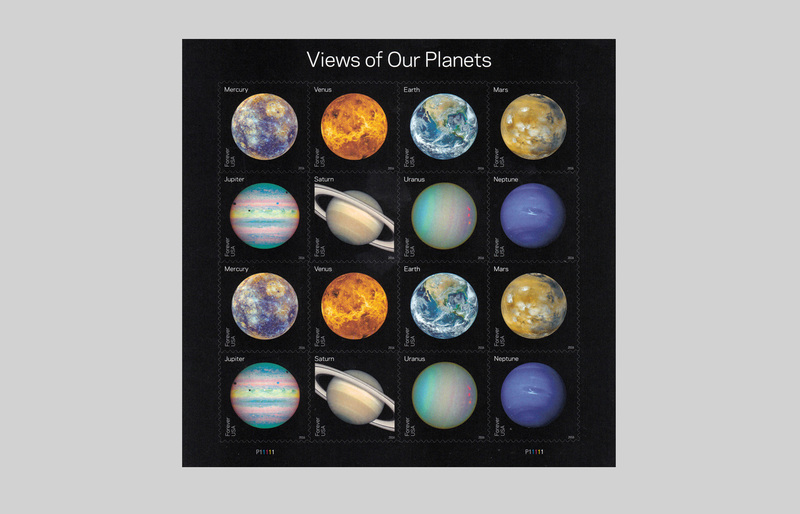 This sheet of stamps present eight images captured from recent space missions. Art direction and design: Antonio Alcalá. This set of four high-denomination stamps are the first completely abstract designs issued by the USPS. Art Direction: Antonio Alcalá, Designer: Michael Dyer. Using a key phrase from the original document, this stamp commemorates the 150th anniversary of the Emancipation Proclamation. Art Direction: Antonio Alcalá, Designer: Gail Anderson. 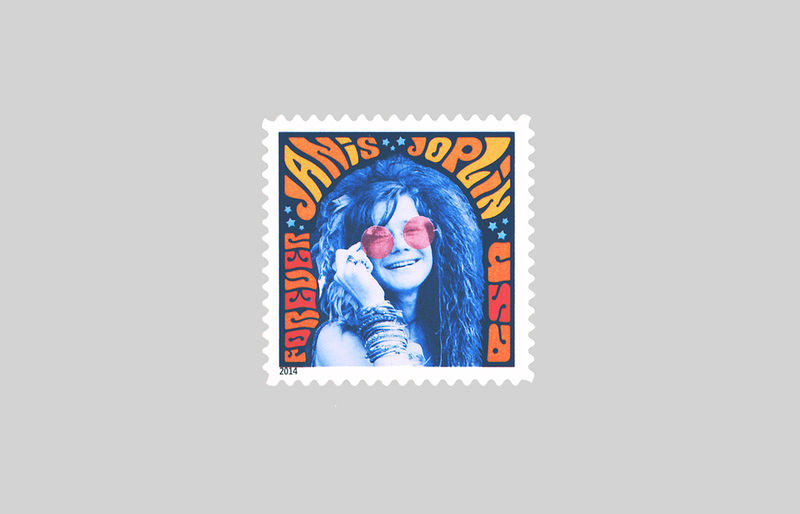 The fourth design in the “Music Icons” series commemorates Janis Joplin with a psychedelic-era inspired stamp. 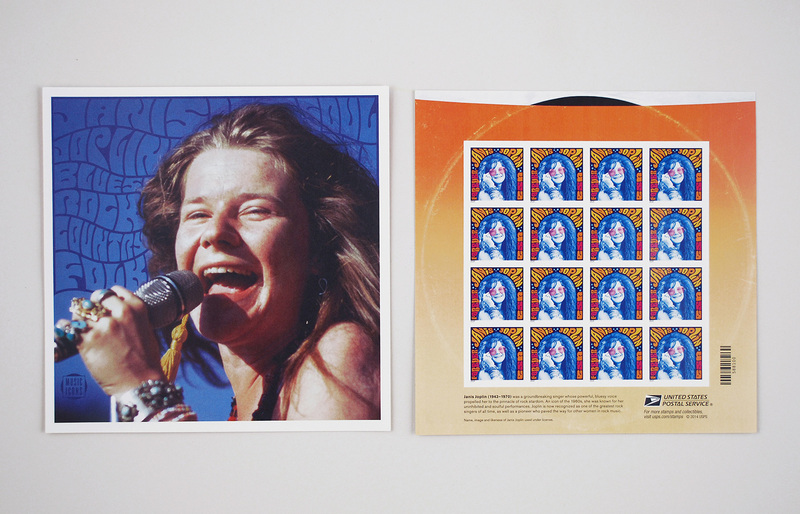 Art direction and design: Antonio Alcalá, Stamp photo: David Gahr, Stamp lettering: Daniel Pelavin, Cover photo: Bruce Steinberg. This is the first U.S. stamp issued featuring thermochromic ink. 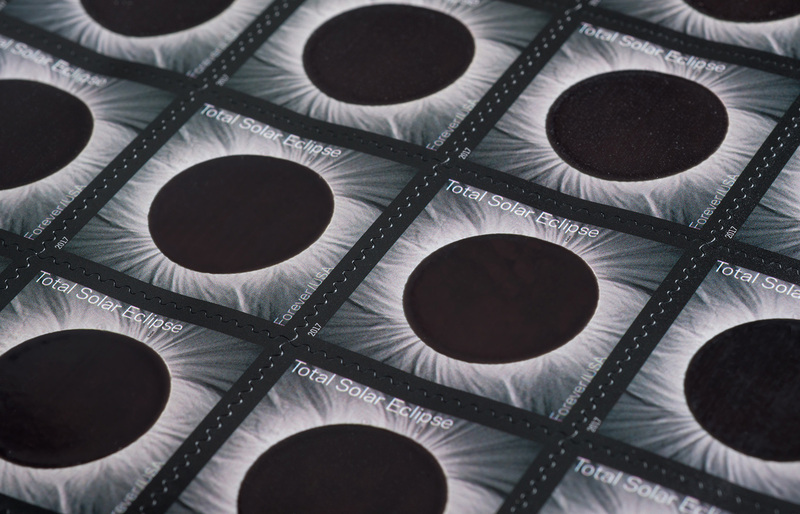 With the warmth of a touch, the dark circle of the eclipse turns clear to reveal the moon. Art direction and design: Antonio Alcalá, Stamp photo: Fred Espenak. 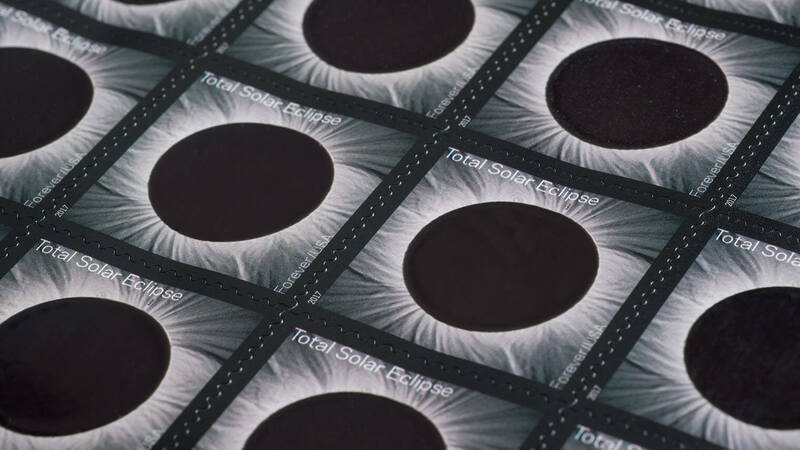 Your browser does not support playback of the video showing the thermographic ink changes of the Eclipse stamp. 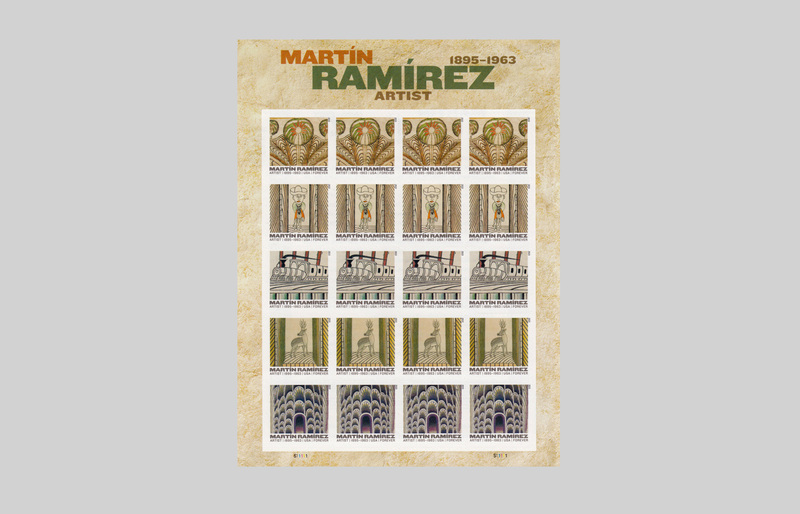 Virtually unknown during his lifetime, Martín Ramírez is recognized today as one of the great self-taught artists of the twentieth century. Art direction and design: Antonio Alcalá. 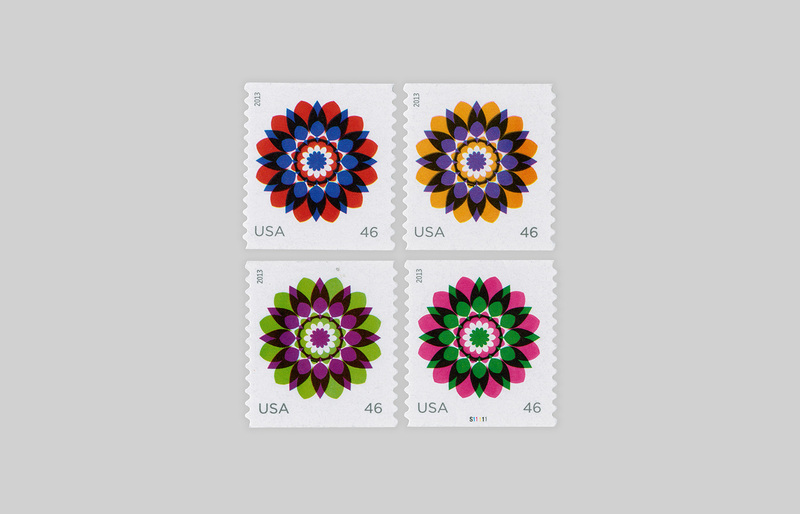 A flower-like design composed of geometric shapes, these stamps utilize different color palettes, creating a set of four. Art Direction: Antonio Alcalá, Designers: Nicole and Petra Kapitza. 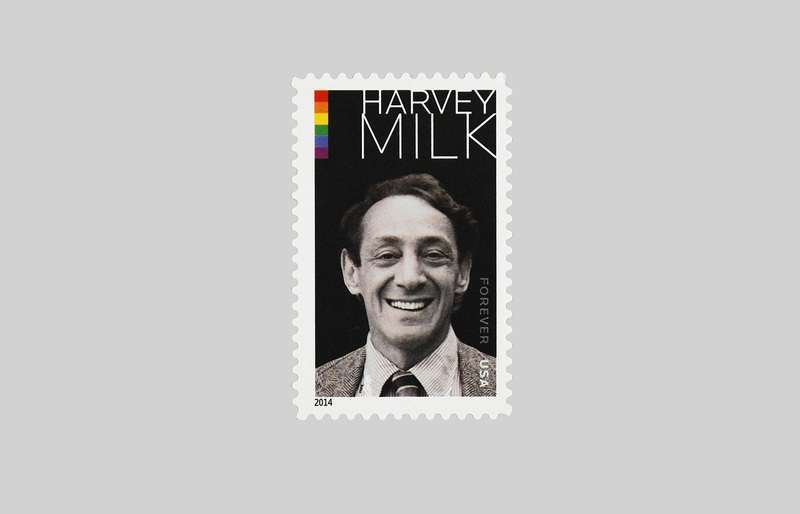 A civil rights activist and one of the first openly gay elected officials in the U.S., Harvey Milk is commemorated in this stamp with a photo by Daniel Nicoletta. 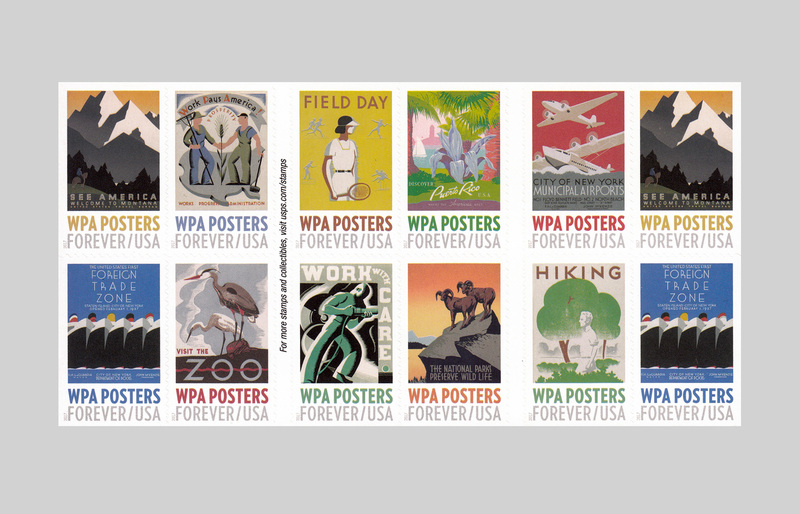 These stamps celebrate posters of the Work Projects Administration, created during the Depression by the Poster Division of the WPA Federal Art Project. Art direction and design: Antonio Alcalá, Design: Maribel O. Gray, M.D. Part of the “Love” stamp series, this design features quilled paper art. Art direction: Antonio Alcalá, Artwork: Yulia Brodskaya. These stamps highlighting popular summer foods evoke vintage produce advertising, including crate labels, seed packets, and catalogs. Art direction and design: Antonio Alcalá, Artwork and lettering by Michael Doret. Traditional snowflake structures are interpreted with contemporary renderings in a variety of colors. Art direction: Antonio Alcalá, Design: Leslie Badani. 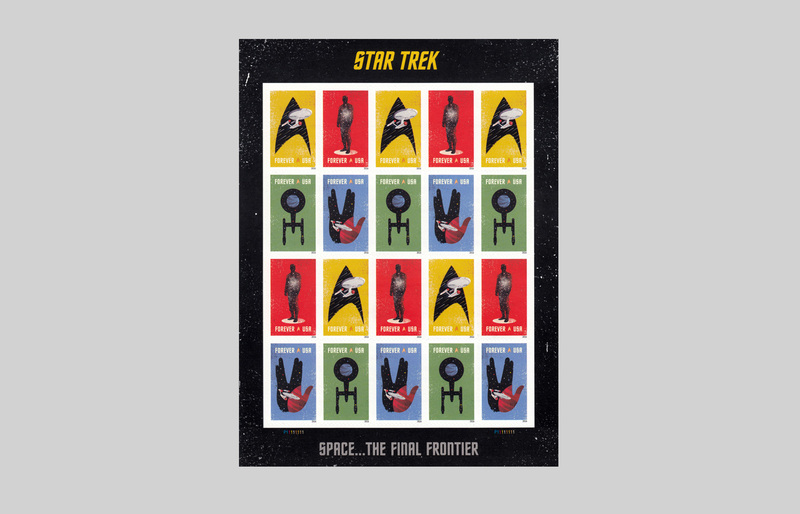 These four stamps commemorate the fiftieth anniversary of the original television series with artwork of iconic elements from the show. Art direction and design: Antonio Alcalá, Design and illustrations: Heads of State. United States Postal Service / Delicioso! Six stamps celebrate the influence of Central and South American, Mexican, and Caribbean foods and flavors on American cuisine. Art direction, design and lettering: Antonio Alcalá, Artwork: John Parra.